Especially when they’ve got a $2 trillion government working for them. As President-elect, Trump’s power is only a phone and a pen. With a phone call, and the very subtle implication of a threat, he’s won a major political victory with the Carrier factory in Indiana (engineered, it should be remembered, by Indiana Gov. Mike Pence). With a phone call, from the President of Taiwan, he’s initiated a new relationship with our greatest global competitor, China. With one announcement, of Oklahoma AG Scott Pruitt as head of EPA, he has reversed a policy – toward climate change — that has done more damage to the American economy than anything this century. Wait until he gets some real power when he’s sworn in. The glory days of the 80’s are back, in spades. The Roaring 20’s ain’t in it. Interest rates are rising, and let the good times roll! We haven’t even gotten around to the trillion dollar infrastructure bill. We’re talking construction like in the 50’s, with the building of the interstate highway system. The military is in desperate need of basic infrastructure. They are cannibalizing airplanes, for lack of maintenance and spare parts. Airports need to be built, and seaports expanded, and many parts of the country need major new highways. There’s going to be a whole lot of spending going on. And that national debt, that $20 trillion thing? We’ll worry about that later. We’ve got an economy we’ve got to get started, and dealing with deficits can wait. That’s Keynesianism, in a nutshell. Deficit spend to get the economy going. But once it gets going, you stop deficit spending. That’s the hard part, for politicians, the stopping part. And that’s why we need a Balanced Budget Amendment, and we need it now. Because all this deficit spending that’s going to happen has to stop, at some point. And we can’t rely on Donald Trump to do it. He has to be restrained. That’s what Article V is for. It won’t be long now, before Democrats come to see the merits of this argument, especially as it applies to Trump. They want to exercise some control over him themselves, and they’ll be able to do that as full participants in the Amendment Convention. There will be no separation by party at the Amendment Convention. There very may well be a majority organization, or caucus, but it will be completely bipartisan. Every State has an equal vote. It’s just that California’s vote counts the same as Alaska’s. I guess that’s not fair, but it doesn’t matter. That’s the way it was all set up, and there’s no changing it now. I can sense this coming, this help from Democrats. But I’ve got to look into it myself, and I will. If we ever really get bipartisan, we’re in like Flynn. And with Clinton gone, and Trump in, there’s no reason it can’t happen. The change between Obama and Trump is as stark as any transition I know of. They are as different as night and day. It’s such a major change, it takes time to get used to it. It’s not like going from Carter to Reagan. Carter was weak, but he was a patriot. He wasn’t that bad a President, really. 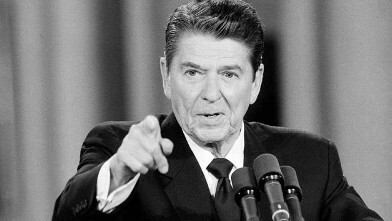 When Reagan took over a new day dawned, for sure, but not the way it is this time. The contrast between a President who was indifferent about his national identity, to a full blown patriot. ← And winner #34 is . . . South Carolina!